/ ► Erasmus+ KA2 "Our School, My Future - ESL Project"
This paper aims to present the implementation of CLIL method in Greece as a pilot project in the 3rd Primary School in Evosmos - Experimental School of the School of English in the academic year 2011-2012. This is Greece's first official attempt to introduce CLIL in state primary education. Notes based on a CLIL course at British Study Center - Oxford. An Introduction to CLIL for Parents and Young People. A useful tool for teachers and programme coordinators of CLIL programmes in primary and pre-primary education in Cyprus. Sample CLIL lesson plan from the British Council. Basic information about CLIL from the British Council. A compilation of CLIL resources. Το φυτώριο του CLIL στην πόλη μας. CLIL (Content and Language Integrated Learning) has emerged since the millennium as a major trend in education. 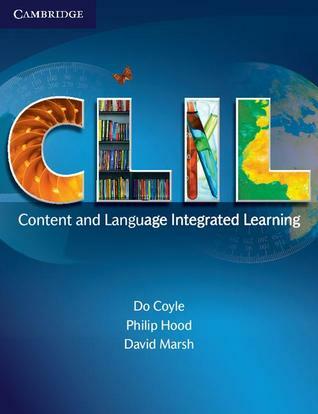 Written by Do Coyle, Philip Hood and David Marsh and drawing on their experience of CLIL in secondary schools, primary schools and English language schools across Europe, this book gives a comprehensive overview of CLIL. It summarises the theory which underpins the teaching of a content subject through another language and discusses its practical application, outlining the key directions for the development of research and practice. 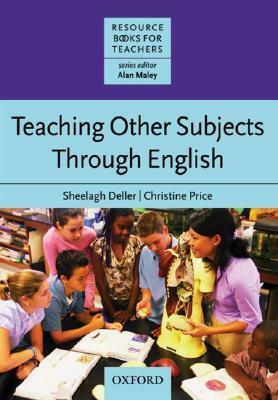 This book acknowledges the uncertainty many teachers feel about CLIL, because of the requirement for both language and subject knowledge, while providing theoretical and practical routes towards successful practice for all. This course is designed for teachers and trainee teachers preparing for the Cambridge ESOL TKT: Content and Language Integrated Learning test (TKT: CLIL). It is ideal for both content and language teachers. Written by a CLIL expert in collaboration with Cambridge ESOL, this course covers the four key areas of the test: knowledge of CLIL and principles of CLIL, lesson preparation, lesson delivery and assessment. It will also be useful for anyone seeking an introduction to CLIL theory and practice. 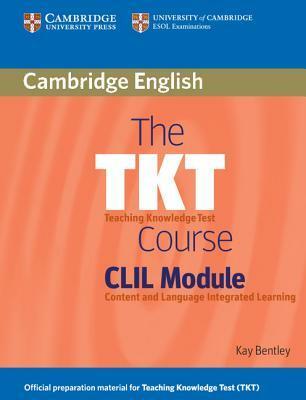 The TKT Course CLIL Module introduces teachers to the concepts and terminology central to CLIL and provides an introduction to its main theories, approaches and activities. Teachers are then encouraged to apply these to their own teaching contexts and analyse their usefulness to their own learners. Materials and activities are available which further develop and explore the topics introduced in the course. Παρακαλούμε να απαντήσετε στο παρόν τεστ πολλαπλών επιλογών ως μέρος της εξ αποστάσεως εκπαίδευσης του προγράμματος. When you are finished, submit your file but, please, make sure it does not exceed 1MB or it will fail to upload. Please, don't hesitate to contact me through Μηνύματα (look up "Μαυρογεωργιάδης") if you need help or support. You can also use the Ομάδα συζητήσεων ειδήσεων to exchange public messages with your colleagues. Erasmus+ KA2 "Our School, My Future - ESL Project"